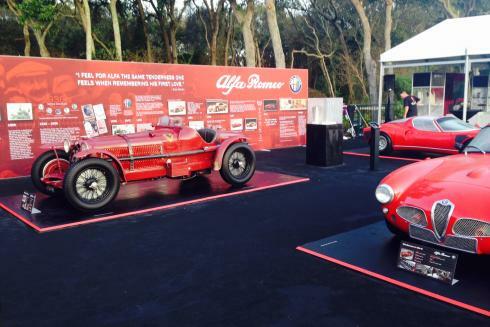 Centigrade supported Alfa Romeo at the 20th annual Amelia Island Concours d’Elegance event. For the first-time ever at Amelia Island, Alfa Romeo celebrated its return to North American roads. 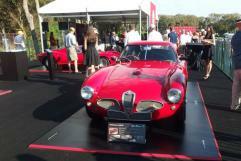 Alfa Romeo’s display on the Concours show field featured an Alfa Romeo history timeline wall, three historic vehicles and two 4C models, along with a hospitality area. Guests were able to relive the legendary history of Alfa Romeo, discover the all-new 4C models, and celebrate over 100 years of technology, performance and Italian style. With Centigrade’s help, Alfa Romeo also hosted 4C test drives in front of The Ritz-Carlton. Centigrade assisted with pre-production, on-site support, creative development and artwork production, history wall design and build, test drive logistics and event details. Through our support, Alfa Romeo captured qualified leads and delivered 70 test drives throughout the Amelia Island Concours d’Elegance weekend. Video by Alfa Romeo USA.